According to Lauren Brown, a trainer and sports nutritionist for Balanced Fitness and Health, the body relies on water for functions like delivering nutrients and oxygen to the cells, regulating body temperature and eliminating toxins. In other words, hydration plays a significant role in the body’s ability to perform essential functions optimally. But let’s face it; water is arguably the most boring of all beverages. You know you should drink more of it because it’s good for you, but you find it hard to form the habit because you really can’t seem to get excited about such a dull drink. However, aside from the fact that staying hydrated is important all year long (not just during the summer months), an aspect of healthy hydration that’s often overlooked is the fact that there are different (and more tasty) ways to keep your body hydrated other than simply drinking water. Brown offers the following suggestions as her favorite alternative ways to hydrate. Soups: Especially when it’s cold outside, slurp a light vegetable soup as a snack in the mid-morning or afternoon to boost water intake and energy levels. Use high water content vegetables such as celery, cucumber, iceberg lettuce, tomato and zucchini. These vegetables contain 75 to 90 percent water content. 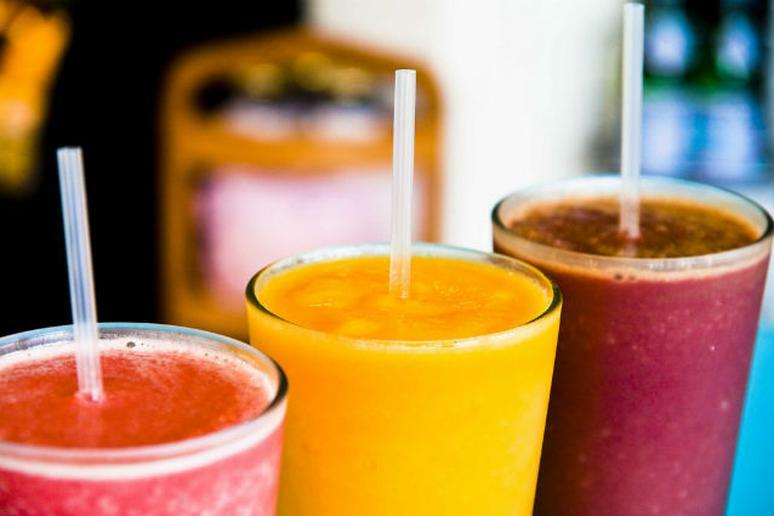 Smoothies: In the morning, blend a smoothie with high water content fruits, like blueberries, oranges, peaches, pineapples, plums, raspberries, cantaloupes and watermelon. Add water instead of other thickeners like dairy, soy, rice or almond milk. Cool fact: watermelon contains 90 percent water! Coconut water: Pack a coconut water for your next gym session. Coconuts contain minerals and vitamins that helps restore electrolytes and the natural sweetness is a nice treat after a tough workout. Fresh squeezed juice: Squeeze your own oranges, lemons or limes and add to water. Or, purchase a bottled juice that is labeled “not from concentrate” and does not contain added sugar. Mixing the juice with water not only makes the water taste good, but also tones down the natural sugars found in fruits. Mixing with water is also better for maintaining blood sugar levels and will make the juice last longer. Herbal teas: Brew a cup of herbal tea the next time you’re feeling thirsty. Pick teas without caffeine like chamomile, peppermint or nettle tea. Also, switch up flavors so you never get bored with the taste. And for those coffee-lovers out there, Brown advises limiting intake to a maximum of three cups per day. “Coffee is known to be a diuretic, which causes more trips to the restroom and a dehydrated body,” she said. Do You Need to Replenish Electrolytes After Exercise?